Real Madrid no longer view Cristiano Ronaldo as unsellable, however his possible departure would create a problem for Julen Lopetegui who would be losing 44 goals a season. The former Spain coach has arrived at the Estadio Santiago Bernabeu with a variety of issues to solve, most pressing is the future of the Portuguese forward. Despite often having a fractious relationship with Florentino Perez, the former Manchester United star has been the iconic attacking reference point for Los Blancos for almost a decade. In the 2017/18 season he scored 44 goals despite being 33 years old, this was double the amount scored by the club’s next highest goal-scorer, Gareth Bale. This has to be a concern for the former Porto coach, losing such a guaranteed source of goals is never beneficial for a team, even if a superstar is signed to replace him. There is an understanding that there won’t yet be another player who can replicate the statistics of Ronaldo and Lionel Messi, but a player would need to be brought in to cover the shortfall. Ronaldo joining Juventus would also open up more opportunities for Bale to flourish, if Los Blancos can have two players scoring 30 goals, it would make up for the loss. In the nine years he’s been in the Spanish capital, Ronaldo has scored 451 goals en route to becoming the club’s all-time leading scorer. 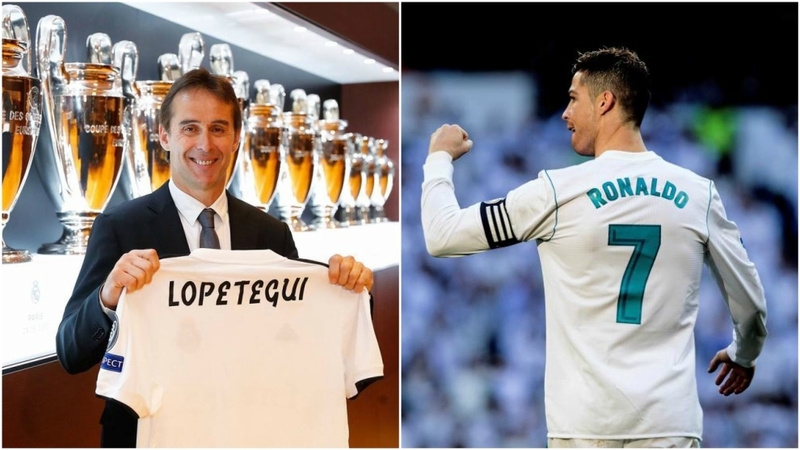 Lopetegui is aware that the club needs to make their own choices, some of them difficult, but a debut season is always challenging for a coach and he’ll be aware that Ronaldo’s departure could be a sliding doors moment.